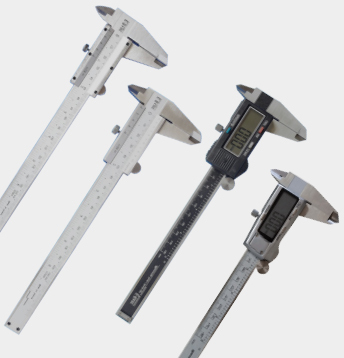 E-Base measuring Tools Co. is a company that designs, develops and manufactures professional measuring tools in Taiwan and mainland China. 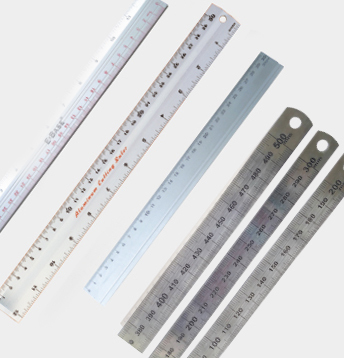 He has more than 20 years of experience in the field of measuring tool manufacturing. He currently owns E-BASE and Mackay as their own brands and has more than 200 OEM / ODM products and many kinds of patented products. Tool for Length. Main body with slider. Moving slider on the main body to get data. Three types: Vernier caliper SV-03/SV-09, Digital caliper SV-03/SV-09 and Dial caliper. Tool for Length. Ruler with scales for compare to get data. Normal scales are Inch, Metric and Ratio. Stainless steel：markings by etching, laser and printing, shape by shear cutting, punch, etching cutting and wire cutting. Aluminum：markings by printing and laser, shape by shear cutting, punch and extruding. Plastic：marking by printing, shape by shear cutting, punch and injection. 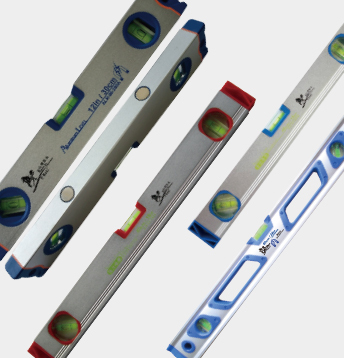 Tool for level and vertical, the shape like a ruler. There are two clear tube with color alcohol, one for level and one for vertical. The tube with two parallel lines and one bubble inside. In measuring, Level ruler must touch together perfect with surface of the thing. The bubble will be middle of the two lines when the thing was level or vertical. Since the inside of the transparent tube is dyed alcohol, it is not easy to freeze, so the level can be used in cold weather. Copyright © 2018 E-Base Measuring Tools Co. All rights reserved.